What are the most important principles we need to teach our volunteers? That's what I asked in my survey. Youth Specialties' Mark Oestreicher responded. "I think all volunteers need basic training on how to connect with teenagers." I cannot begin to count the amount of times youth workers have cornered me at a training workshops or events asking me about connecting with kids. In the hundreds of emails we receive through our website's Q & A page, we consistently find ourselves providing the same answer: "Have you tried getting with that kid one-on-one?" As I sit with youth workers and detail some of the ways I made relational ministry a priority in my own ministry, they take frantic notes, consuming the information like I'm providing the winning lottery numbers for the Sunday Quick-pick. 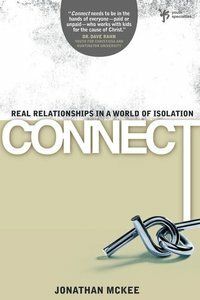 As the same questions about relational ministry continued to surface again and again I set out to do some research on the topic. I surveyed youth workers out in the front lines that use our website as a resource, and I also asked a number of authors and youth ministry professors. But I didn't ask them about contacting... I just asked them all what the most important priorities should be in our ministry. I was surprised at the similarity of all the responses. The importance of connecting one-on-one kept rising to the top.